Gold, the Bank of England, Venezuela ... and Deutsche Bank. A worthy movie plot. Venezuela has paid off money it owed to Deutsche Bank, DB transferred gold to the nation. But the gold is held at the Bank of England. 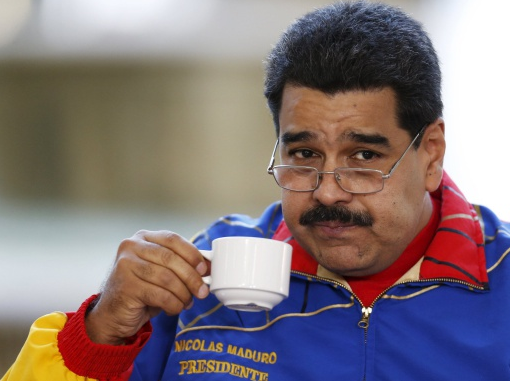 Venezuela wants to repatriate the gold. But, according to this piece in Reuters there is reluctance on the part of the UK to hand it over. The Bank of England is facing political pressure from Venezuela's opposition and from members of British parliament to not assist Maduro, whose just-begun second term has been widely described as illegitimate. Losing the gold would be a significant blow to the country's finances by undermining Venezuela's ability to obtain hard currency crucial to importing items ranging from food and medicine to auto parts and consumer electronics. Here is the link for more. I nominate Greg to play Maduro in the movie.